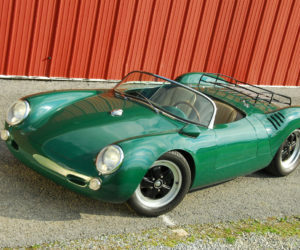 Pilot Builds a Beck Spyder. How do you say thanks for getting the most rigorous training in the world as a naval aviator, allowing you to apply that experience all around the world in a career as both a military and commercial pilot? 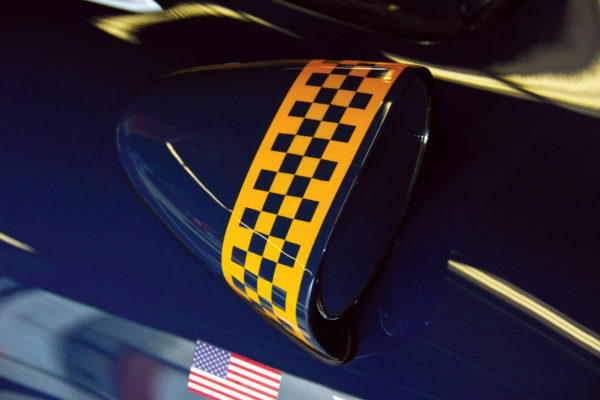 Well, you put your flight colors on your favorite car, give it some aviation flair, then take off! 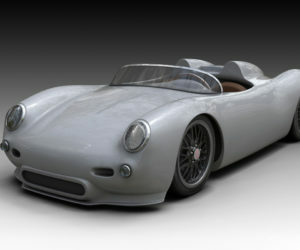 That’s exactly what Ron Mullis did on his Beck Spyder. Before working 21 years as a pilot for Delta Air Lines as captain of an MD-88 jetliner, he served 13 years in U.S. Navy as a naval aviator, flying multiple combat deployments in the North Atlantic, Mediterranean, Middle East, and Southeast and Southwest Asia. What’s Ron’s automotive passion? 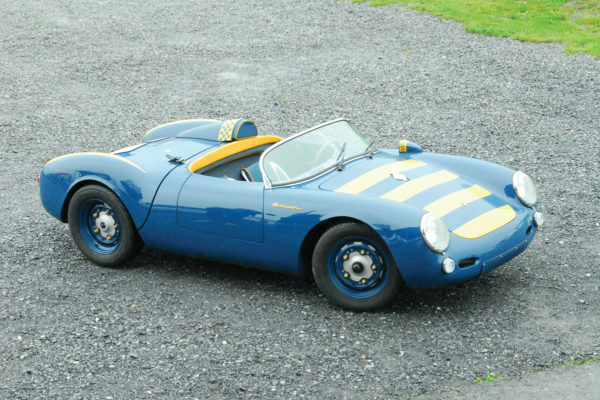 Although he also owns a Beck 356 Speedster, “I’ve always loved the 550 Spyder and have followed Chuck Beck and the Beck Spyder since 1986,” he explains. “I moved a lot in the Navy, then had kids – always a reason not to punch the ticket.” Finally the stars aligned, though, and he visited with Carey Hines at Special Edition. 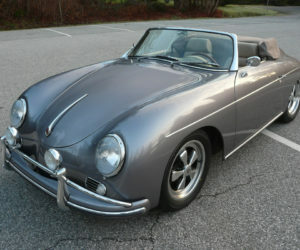 He liked both the Speedster and Spyder, but bought the Speedster the very same day as a car best suited for leisurely weekend driving with his wife in north Georgia. 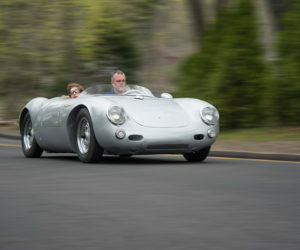 That was just the beginning, though, as he knew his Spyder itch still needed to be scratched with a totally unique treatment. There was no silver for this Spyder, as the color had to be Blue Angel blue and yellow, with an aviation feel throughout, plus Subaru power. The design concept evolved with many ideas coming both ways, and Carey providing some clever treatments along the way. “Some of the visuals came from studying Blue Angel jet photos,” Carey says. But some of it, like the aluminum seats, were something that he had in mind for years but never had the right platform to try. The seats are hand-hammered aluminum by Chris Runge of Rünge Karosserie, then Carey polished the bolsters and left them raw aluminum with leather inserts. 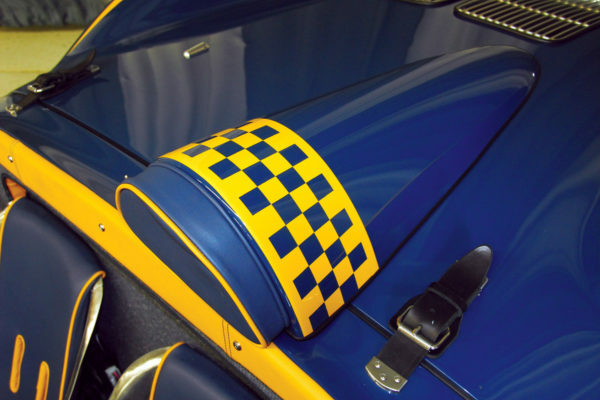 Was it difficult to get the right hues for Ron’s personal Blue Angel? Carey tried to acquire an old switch or decommissioned Blue Angels aircraft part to incorporate into the build, but the Navy apparently has very strict policies regarding that, and told him that those items are destroyed and never sold as “surplus” like other military branches. So Carey came up with some clever graphics instead, such as gold-leaf Naval Aviator wings on the radiator shroud, and a “Fly Navy” logo on back. The striped hood is modeled after Albert Westerman’s State of Art original 550 Spyder, chassis number 550-0045. 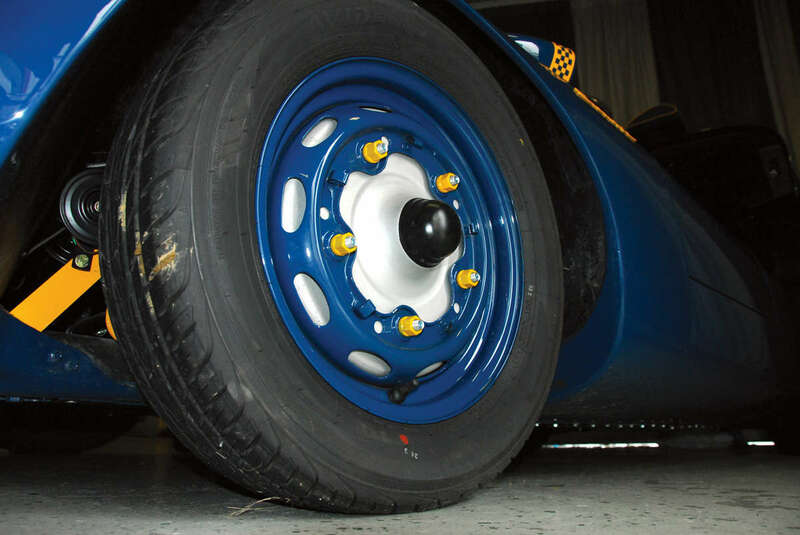 The chassis and suspension components were powder-coated Blue Angels yellow as well. Other details include hand-painted checkerboard on the GT mirror and helmet fairing, and gauges with custom aircraft-style bezels. The dash switches were all converted to Honeywell lockout toggle switches (actual aircraft parts). 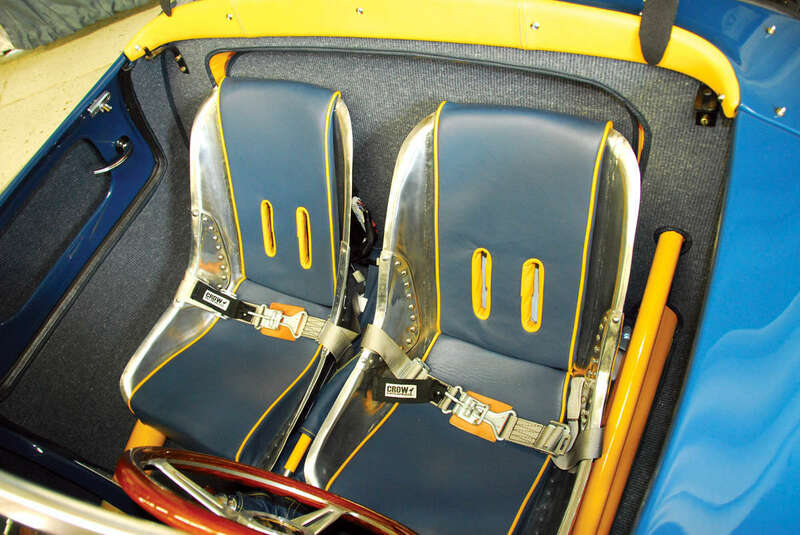 All the leather is custom from Spinneybeck and made to match the government-issued Blue Angels colors. As for the engine specified by Ron, it’s a 2007 Subaru Impreza EJ25 (EJ253) producing about 200 hp, providing plenty of thrust for such a lightweight flyer (about 1,500 pounds total). 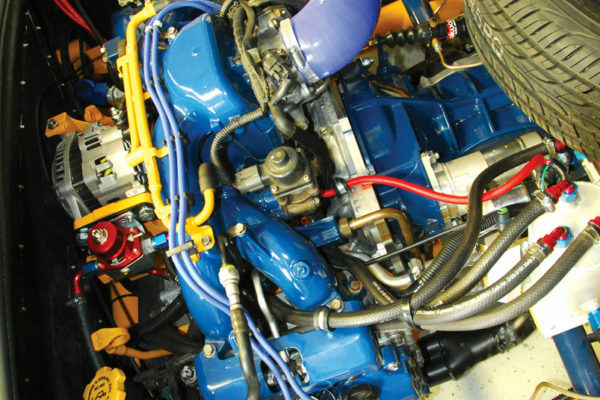 The engine was rebuilt from a brand-new OEM Subaru short block with new bottom-end parts. The wiring and top-end parts are from the donor car, and custom headwork was done by Jake Raby. Engine parts and transaxle were powder-coated Blue Angels blue and yellow. The way Special Edition uses its donor Subaru engines retains the OBD-II diagnostics plug, electronic throttle, and all the stock Subaru engine control information. 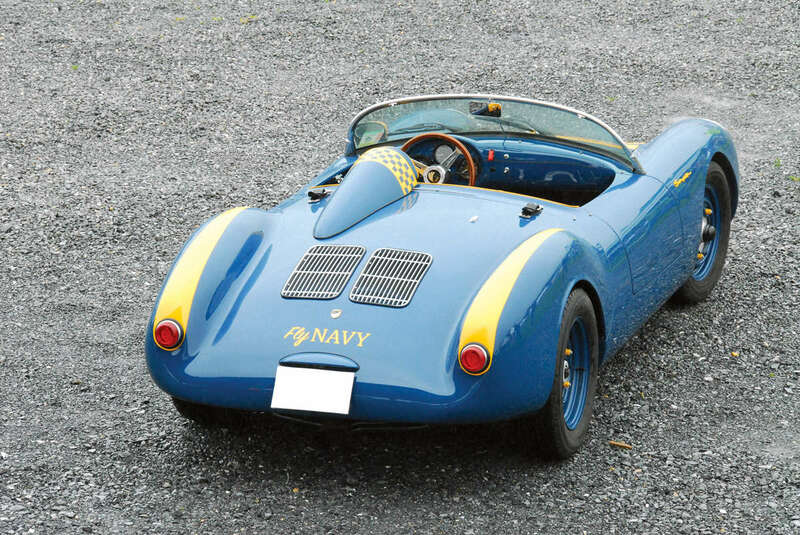 “It makes for a very nice driver,” Carey notes, even though he has a personal preference for the air-cooled VW Type 1 that’s more often seen in Spyder replicas. 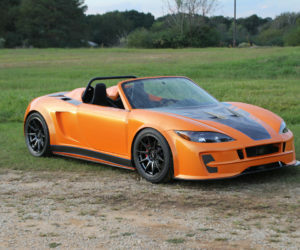 Why are about half of Special Edition’s Beck Spyders built with the slightly heavier, but more powerful, water-cooled Subbie? 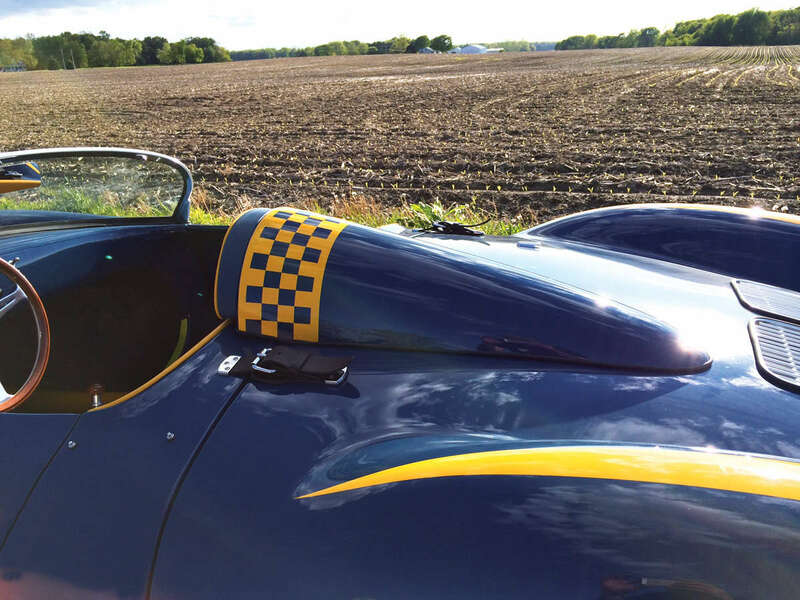 “For many clients, having the ability to just jump in and bump the key, without having to worry about carburetor adjustments and valve adjustments, is key,” he explains. “Keep in mind that many of these cars sit over a winter, or get left in the garage of someone’s winter home in a warmer climate. 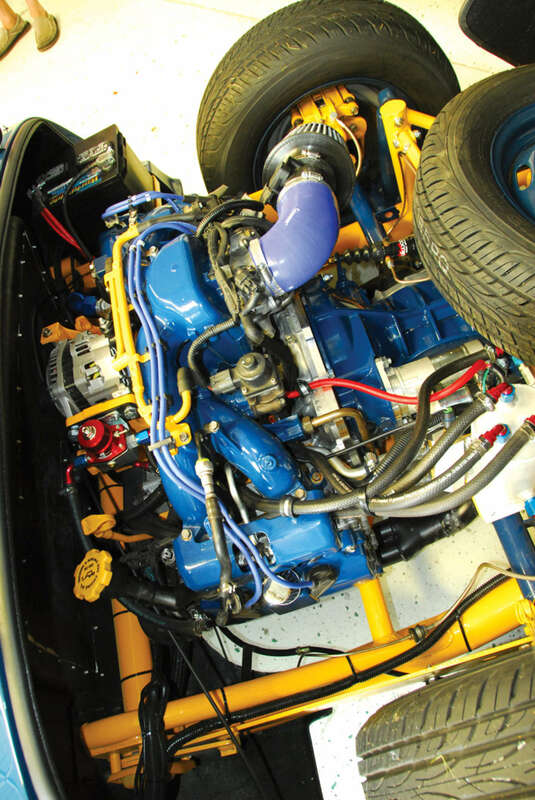 All they have to do is pull it off the battery tender and enjoy—unlike a carbureted car that may require a fair bit of tinkering to dial in each season.” He also points out that 175 hp is bone stock for an EJ253, while that kind of power in a VW Type 1 requires a well-built and customized motor. 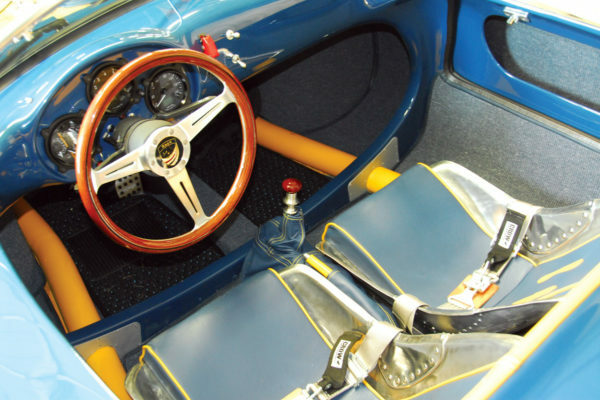 In addition, the Rancho Performance transaxle is built to a “Beck Subaru Specification” – in short, a pro-drag level gearbox with custom Weddle gearing to match the Subaru 1 to 4 gears. 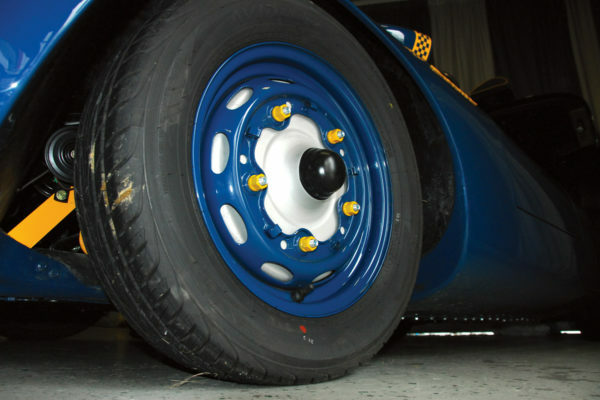 Scrubbing off speed is a set of four-wheel disc brakes, the chassis is damped with classic KONI shocks (color matched to the car), and wide five wheels (powder- coated blue with powder-coated yellow lug nuts). There’s one unusual footnote on Ron’s aviator-themed Spyder after its debut. Just as the Navy does a “drop test” to evaluate the landing gear of aircraft, he experienced something similar when he was T-boned in an intersection. But this “hard landing” was not serious, as both driver and passenger were unscathed. The body took the brunt of the impact, and Carey was able to graft on a new front clip. So even though flight attendants always say flying is the safest part of any journey, obviously somebody in heaven was watching over Ron’s Angel.